Twitter released its list of the top 10 most tweeted about news outlets, along with their most tweeted about reporter at each. the No. 1 spot was Fox News and Sean Hannity, with CNN, The Hill, MSNBC and The New York Times filling out the top five. The bottom five include ABC, NBC News, The Washington Post, the Associated Press and NowThis. NowThis, launched in 2012 with a mission to connect young adults with the news by making stories relatable in a relevant way, was the only digital-first company on the list. That's a place its president, Athan Stephanopoulos, attributes to the outlets ability to engage with its audience in an honest and organic way and its use of video as a predominant medium. According to Brandwatch, a social intelligence company, the NowThis story with the biggest impact over the past 30 days was a video called “Man Begged Hospital Staff to Save His Wife,” which counted over 51,000 retweets and 71,000 likes and saw a 300% increase in Twitter mentions for the brand. Stephanopoulos tells Publishers Daily that NowThis’ most-engaged-with story of the year on Twitter was a video of Beto O’Rourke talking about NFL players kneeling during the national anthem. The story led influencers like LeBron James and Ellen Degeneres to engage with the content. As a result of the video, O’Rourke was invited onto Degeneres’ show. Brandwatch points out that attention on social media isn’t always a boost for a brand. Just yesterday, after posting a negative article about the marriage between Priyanka Chopra and Nick Jonas, New York's The Cut saw an increase of 2,770% in daily negative mentions of its Twitter handle. The outlet later took the article down following public backlash across platforms. The New York Times attracts a sizeable portion of its social-media attention from negative interactions with Trump and his supporters, as does CNN. The cabler found itself becoming the news rather than delivering it when reporter Jim Acosta’s White House press credentials were revoked. Its Twitter mentions jumped by 221% between November 7 and 8. The Times, though, is more likely to record positive sentiments from uses of its Twitter handle, with nearly 60% of its attention on Twitter skewing positive over the last 30 days, per Brandwatch data. NowThis saw a roughly 30% positive use of its Twitter handle during the same period. However, sentiment — positive or negative—s till equals engagement. NowThis, which counts a total of 2.5 billion monthly views across its videos spanning 13 content verticals, continues to see growth company-wide at a time when many digital media companies are struggling to survive. 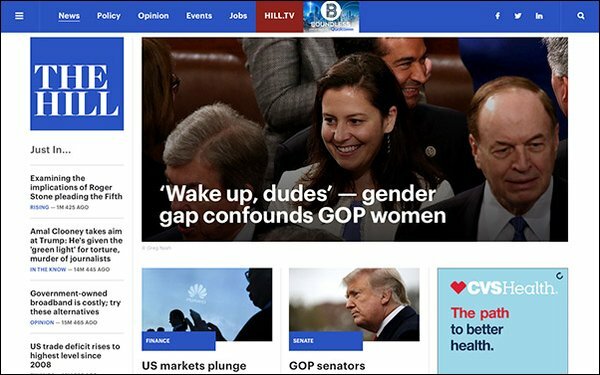 “We’ve always been digital and social first, with ‘knowing our audience’ type of programming across topics and issues that matter to them, and bringing those stories to where they live,” Stephanopoulos told Publishers Daily. “Twitter is a platform where we’ve seen real, meaningful growth."